How Can I Get Instant Life Insurance Coverage? 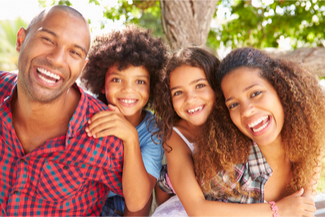 Are you looking to purchase instant issue life insurance protection for your family today? If so, you've come to the right place. It's never been quicker or easier to get insured for life insurance. A medical exam is usually required in order to get approved for a life insurance policy. But, it is possible to get term life insurance without taking a medical exam, just answer some health questions. If you are healthy, you may qualify for instant term life insurance today. There are advantages and disadvantages to both types of life insurance policies. The advantage of taking a medical examination is that it may save you some money on your life insurance policy. If you take a medical exam, the insurance company can choose the best health class for your policy. So you get the lowest rates that apply to your actual health. Instant Term Life Insurance is the easiest, most convenient policy for most consumers. But, these policies may cost more because of the higher risk shared by all policies holders. The life insurance company develops the rates based on an average risk, since without a medical exam they don't know the exact health of all insureds. You may qualify for up to $1,000,000 of Term Life Insurance with No Medical Exam required, just some health questions. You can apply for coverage and get approved today (if qualified).